The remarkable 1,200-year history of the Japanese cherry blossom tree--and how it was saved from extinction by an English gardener. Collingwood "Cherry" Ingram first fell in love with the sakura, or cherry tree, when he visited Japan on his honeymoon in 1907. So taken with the plant, he brought back hundreds of cuttings with him to England, where he created a garden of cherry varieties. In 1926, he learned that the Great White Cherry had become extinct in Japan. Six years later, he buried a living cutting from his own collection in a potato and repatriated it via the Trans-Siberian Express. In the years that followed, Ingram sent more than 100 varieties of cherry tree to new homes around the globe, from Auckland to Washington. 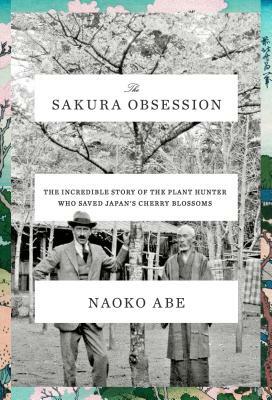 As much a history of the cherry blossom in Japan as it is the story of one remarkable man, the narrative follows the flower from its adoption as a national symbol in 794, through its use as an emblem of imperialism in the 1930s, to the present-day worldwide obsession with forecasting the exact moment of the trees' flowering. NAOKO ABE is a Japanese journalist based in London. She was the first female political writer to cover the prime minister's office, the foreign ministry, and the defense ministry at one of Japan's largest newspapers.